High quality hair cosmetics. Your hair will be healthly and beautiful with hair cosmetics. The best price! Loreal Expert Intense Repair shampoo for very dry hair. Loreal Tecni.Art Fix Anti-frizz spray. Super price. Loreal Mythic Oil nourishing oil 100 ml. Special oil for the best price! Loreal Tecni.art Iron Finish smoothing thermo milk 150 ml. KÉRASTASE Soleil Bain Aprés-Soleil filtre photo defense protective shampoo 250ml. 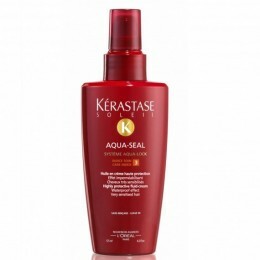 KÉRASTASE Soleil Aqua-Seal (Aqua-Lock) cream 125ml.